An uptight therapist & her recovering alcoholic husband find their lives upturned & their love tested when charismatic but disturbed movie star Tom Speck staggers into their small town’s AA meeting. Add a beautiful psychiatric patient with a stalking problem, & you’ve got WHO YOU SEE HERE - a farcical comedy by Emmy Award winner Matt Hoverman about anonymity, celebrity, & making the perfect salad. about the infinite sorrow of life"
The Geffen's production of LDJIN was Broadway HD's first LIVESTREAM from an American Regional Theatre! On July 20, 2017 the final version of the play will be up on site for all to see & for years to come. If you couldn't get a ticket, or on the wrong coast or continent, click above soon to watch as six cameras beautifully capture all the nuances of our recent production at THE GEFFEN PLAYHOUSE! My first podcast! Thanks to Jeff Mandell, friend & videographer, I've got scores of rehearsal & performance hours from a project I created & directed with The Antaeus Academy in 2007, called Chekhovia. It's a compilation of two-person & group scenes from The Seagull, The Three Sisters, Uncle Vanya & The Cherry Orchard. This one is about 3 minutes long. A few years ago, Jeff handed over this over to me as a stack of DVD's, Jeff had had a plan to make a movie, but things got busy in his life. & so all these hours & hours of videotape, from class to rehearsal to performance... fusted unused. & then came the new technology. I'm still experimenting with presentation -- my goal is to create a collection of "directing" & "acting Chekhov" moments -- i.e. talking to actors about a scene, or a moment in a scene along with the actors' growth from rehearsal to performance. My debut podcast features moi, at the start of a rehearsal, trying to impress on my gang what we're going toward in terms of behavior. & how to find that behavior organically, by understanding the character's thought pattern in the text. Stay tuned for more of these brief clips about characters, scenes, script analysis in Chekhov. My work on Chekhov as always is inspired by master director Nikos Psacharopoulos & his life-work on Chekhov at the Williamstown Theatre Festival, which is chronicled in my book, The Actor's Chekhov. Because I, too, have spent a great deal of my professional life engaged as an actor, director & teacher with Chekhov, I owe a huge debt of gratitude to Jeff. As we go I hope you'll be intrigued by the process of our work, the talent of the amazing actors involved & the journey of this project. Enjoy. 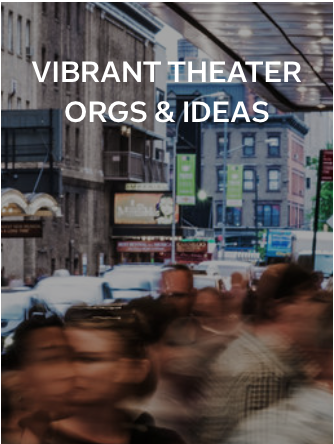 Follow my Flipboard magazines on Theater & Arts Leadership. Just click on the image. sharon Lawrence & harry groener as Gertie & Noelie in "love noel"
dan sullivan, kate burton & me at the first big antaeus benefit. at the first rattlestick LA party for Daniel talbott's "slipping"
"cousin Bette" dons her veil, in the world premiere production at antaeus. young ji & antaeus gang at first read of "king Lear"
With JEffrey hatcher, first day of "cousin bette"
Recently // the world premiere of Matt Hoverman's comedy Who You See Here at Martha's Vineyard Playhouse. // Eugene O'Neill's American Masterpiece, Long Day's Journey Into Night at The Geffen Playhouse. Starring Angela Goethals, Stephen Louis Grush, Jane Kaczmarek, Alfred Molina & Colin Woodell, & live-streamed / filmed for Broadway HD, now available for viewing on that website. Previously // Love Noel by Barry Day, a pastiche of The Master's songs and letters, at The Wallis Annenberg Center. Starring John Glover & Judy Kuhn, the sold-out production revised a year later w/ Harry Groener & Sharon Lawrence. Also for The Annenberg Play the Queen by Rosalind Miles, with Kate Burton & Kathryn Grody. For the Williamstown Theater Festival she directed a workshop of Jeffrey Hatcher's Cousin Bette with Jessica Hecht, John Rubenstein & Emily Bergl. &, as well as the world premiere of Cousin Bette for The Antaeus Company, winning numerous L.A. Drama Critics Circle nominations & awards & including the Backstage / Garland Award for Directing. For LA Theatre Works: Kindertransport by Diane Samuels, with Jane Kaczmarek, Susan Sullivan and Molly Quinn & The Constant Wife, starring Kate Burton. Both were recorded for broadcast on NPR's "The Play's The Thing" radio program. @ The Odyssey Theater: Ron Sossi's Associate Director for John Barton / Kenneth Cavander's The Greeks (& playing Clytemnestra). At Williamstown she was part of a team responsible for creating a collage of Tennessee Williams work: Tennessee Williams, A Celebration for which she was Nikos Psacharopoulos' assistant director. She's directed readings & workshops with many of #lathtr's small theater companies; most recently for IAMA Brendon Jacob Jenkins' Gloria. Matt Hoverman's Who You See Here / The Glint @ The Pasadena Playhouse. As Artistic Director of The Antaeus Company from 2003 - 2011, Jeanie directed a variety of projects & mainstage productions along with overseeing all artistic, administrative, develop-ment, marketing & financial operations of this highly respected classical theater company. Multiple award-winning Antaeus productions under Jeanie's leadership include Chekhov x 4, Mother Courage & Her Children, Pera Palas (co-pro w/ Theatre@Boston Court) American Tales; the 2-part extravaganza of Noel Coward's one-acts Tonight at 8:30; Seneca's Phaedra @ The Getty Villa, & Janet Dulin Jones' world premiere of A Tale of Charles Dickens, performed & recorded for National Public radio by LA Theater Works. Antaeus' first full season = the world premiere of Cousin Bette by Jeffrey Hatcher, Shakespeare's King Lear & Lillian Hellman's The Autumn Garden, winning the L.A. Drama Critics Circle award for BEST SEASON. 2011 = a little known classic by John Marsden, The Malcontent, & a giant ensemble project that Jeanie led the company in for almost two years: a new production / adaption of Noel Coward's Peace In Our Time. LA Times drama critic Charles McNulty chose PIOT as one of his top 10 picks for best theater in the world for 2011, & it won both the Ovation & LA Weekly award for Best Production of Year. During her tenure, Jeanie also created the company's annual summer extravaganza CLASSICSFEST, where hundreds of actors came together over six weeks in dozens of readings & workshops of new & classic plays. In 2003 Antaeus was primarily a group of talented actors who met to read plays once a week, with an annual budget of about 30K. By 2011, Antaeus was established & acclaimed as LA's most respected intimate theater, with an annual budget of nearly 800K; with a full range of activities from actor training to arts education, full productions, readings & workshops; an annual summer festival plus a myriad of other events. Jeanie built & oversaw the company's dynamic growth in all areas: artistic & ensemble development; donor giving & board development; staff & organizational structure; & budgeting & fiscal management. Along the way, Jeanie also created & led The Antaeus Academy, a significant source of income for the company & as well as a rigorous professional training program for upcoming young professional actors. In 2013 Jeanie was the LA consultant for NYC's acclaimed Rattlestick Theater, helping them produce a production of Daniel Talbott's new play, Slipping, in preparation for the launch of Rattlestick West. In 2009, Jeanie was selected for the LA County Arts Leadership Initiative & received a grant to study & observe the acclaimed French ensemble company, Theatre de Soliel, during their residency with the Lincoln Center International Theater Festival. From 1996 - 1999 Jeanie served as Co-Artistic Director for another acclaimed Los Angeles Company, The Classical Theater Lab, helping to facilitate the artistic aspirations of another talented ensemble company. For CTL she directed Robert Auletta's modern adaptation of Goethe's Faust, & numerous other projects. At The Antaeus Academy, Academy, she directed scores of Classical Styles student scene night presentations, & Academy Workshop productions & did much the same while she led CLT. By invitation of LA Stage Alliance, Jeanie recently finished serving 7 years on the Ovation Rules Committee. Comprised of 9 - 15 theater professionals in the greater LA area, the committee meets monthly to oversee all aspects of the Ovation Awards, the Tony awards for Los Angeles theater.